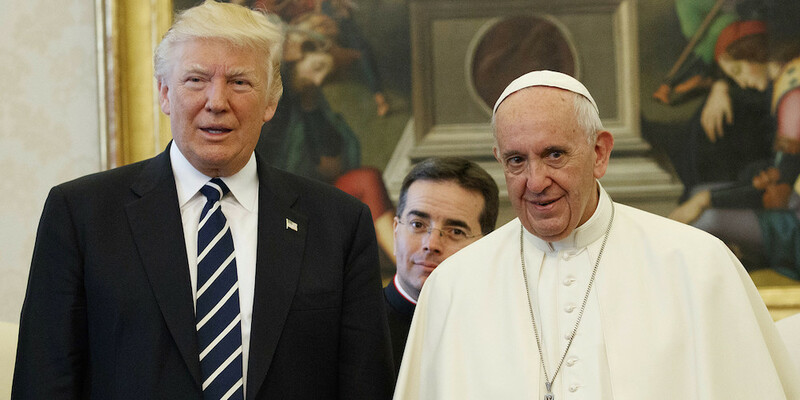 We had no idea Pope Francis had it in him: The shade heard ’round the Vatican took place earlier today, as Donald Trump headed to Rome for the third leg of his very first international tour. As is customary when a world leader meets with the Pope, the two parties exchanged gifts. But it seems the Pope’s gift was laced with a touch of side-eye. Upon meeting this morning, the two were eventually joined by Trump’s entourage, consisting of Melania, Ivanka and Jared Kushner — a moment that has since spawned quite a few memes. Check the photo below. Trump’s gift to Pope Francis was a set of books written by the Rev. Dr. Martin Luther King Jr.
Trump of course famously remarked that climate change was a “hoax” by the Chinese. The two men have had a rather rocky relationship. 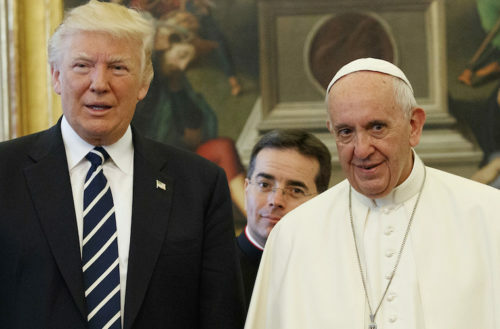 They possess antithetical stances on big-picture issues like immigration and climate change, and the Pope has long criticized Trump’s anti-Muslim speak and his desire to build a wall between the United States and Mexico. Pope Francis went so far as saying, “A person who thinks only about building walls, wherever they might be, and not building bridges, is not Christian.” To which Trump hit back, remarking it was “disgraceful” of the Catholic Church leader to question his faith.